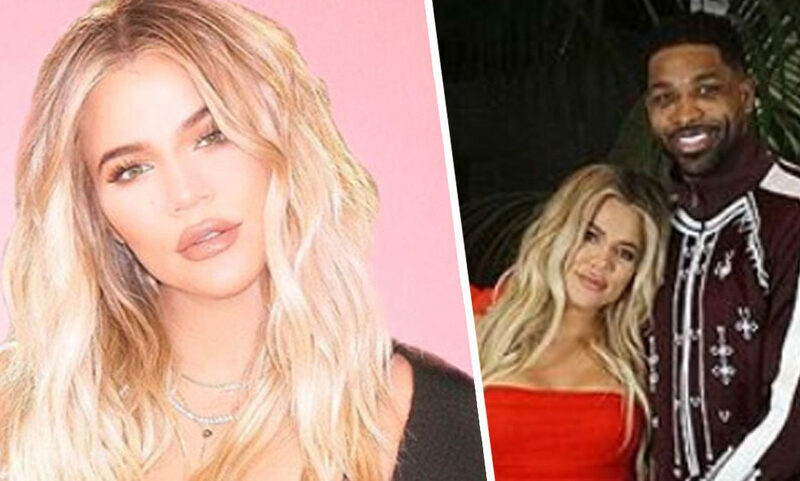 Khloe Kardashian has reportedly split from boyfriend Tristan Thompson after he allegedly cheated on her with sister Kylie Jenner’s best friend, Jordyn Woods. The professional basketball player flew into Los Angeles last week to celebrate Valentine’s Day with Khloe and their daughter, True. While at a house party on the following Sunday (February 17), Tristan allegedly got cosy with Jordyn, kissing her. Witnesses reportedly told TMZ the pair were seen making out at the party, with Khloe immediately ending the relationship after finding out. Sources told the news website ‘she has had enough’. 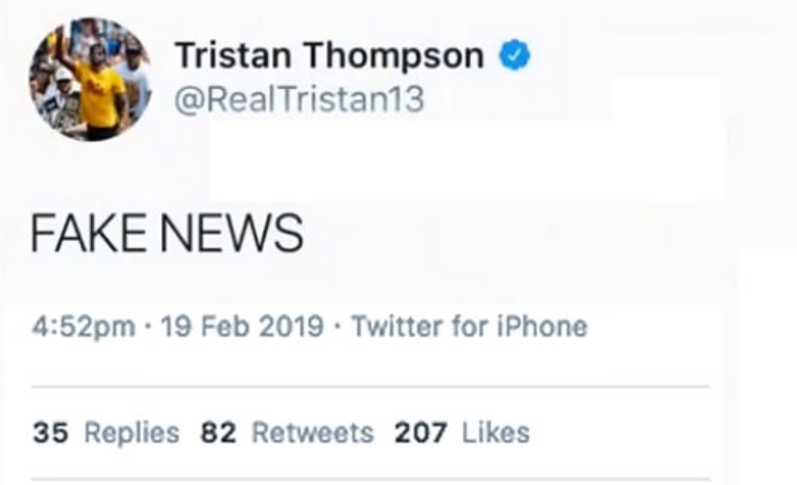 Since news of the alleged split broke, Tristan responded in a now deleted post on Twitter. According to the Daily Mail, Tristan simply tweeted ‘FAKE NEWS’, denying the rumours only hours after they started circulating. Khloe has reportedly responded too, liking an Instagram post about the scandal. Hollywood Unlocked published a story about the split after sources told them ‘Thompson and Woods were all over each other, and, it wasn’t just friendly’. 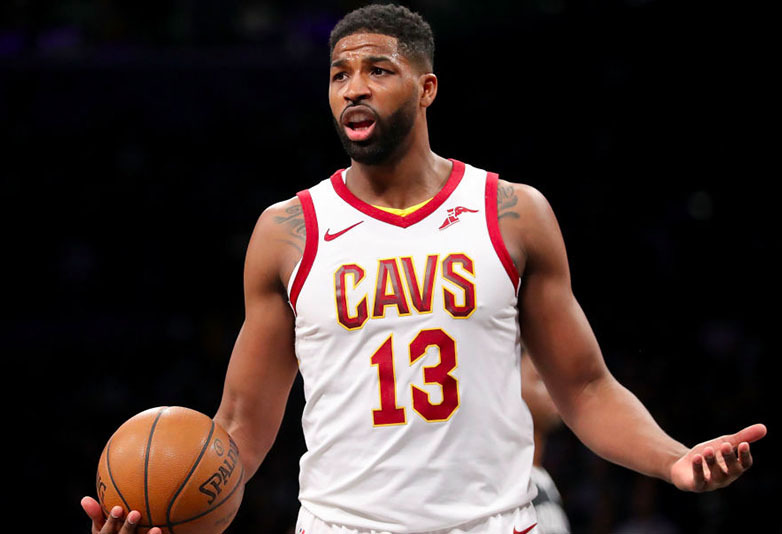 One of our contributors was at Tristan Thompson’s house party and saw what went down! Kylie Jenner we need you to address some thangs with Jordyn Woods. Anyhow, Jordyn Woods stayed at his house until approximately 7am. Who needs to go?! Comment below! On their Instagram, Hollywood Unlocked then shared a screenshot of Khloe commenting on the post with several emojis depicting someone talking. Khloe Kardashian confirms our story. We got you Khloe! It’s not the first time cheating allegations have followed Tristan. Days before she gave birth to daughter True, he was seen on video entering a hotel in New York with another woman. According to the Daily Mail, the footage showed Tristan in a club with two women. 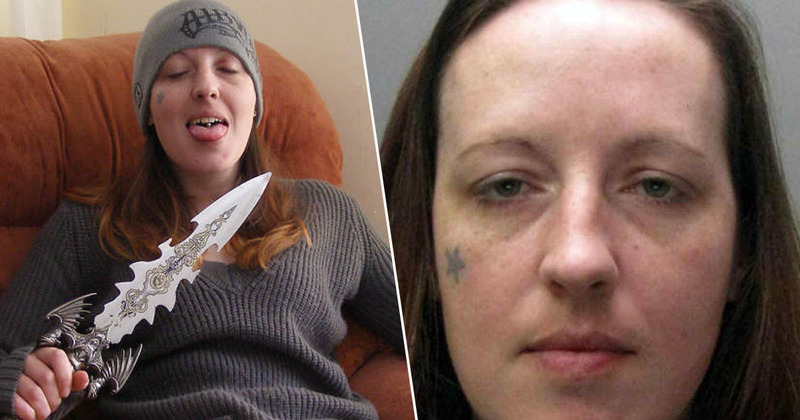 One of whom has ‘repeatedly been named’ as Lani Blair, while the other, who posted the evidence on Instagram, Stephanie, goes by ‘ms.stephaniee_’ on the social media platform. Jenner and Woods are yet to respond to the recent rumours. If you have a story you want to tell, send it to [email protected]arable.